Unique product tracking with Expiry & Batch across various supply categories need an application that supports your quick Inward and Outward item movement with perfect control. FIT SCM offers a web-enabled interface that helps you control the Minimum stock levels across distributed warehouse. Apparel + SCM, software that redefines the working standards of the distribution companies which are mainly involved in brand promotions countrywide. The promoters establishes the distribution arm for distributing their products and reaches the end customer thru’ their retail channels. Logimax provide an efficient supply chain management solution customized to the requirements of the industry and the product. Logimax solution which comprised of five stages plan, develop, make, deliver, and return, Logimax SCM solutions will enable you to forecast the customer demand and supply and to maintain the inventory at all levels. 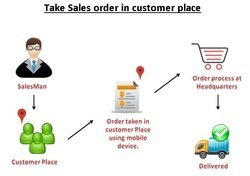 Target will perform order fulfilment on any product that you are furnishing to your customers. We can pick, pack, kit and express deliver your products. Target offers its customers the stability and capability of a large group, while retaining the flexibility service levels required in today's competitive business environment. 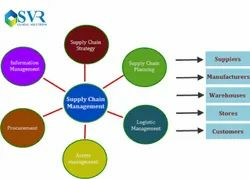 Supply chain management (SCM) deals with the planning and execution issues involved in managing a supply chain, such as demand planning, order promising, production and distribution planning and production scheduling. Our experience of air freight and ocean freight, combined with the global coverage provided by our hub and sub-hub structure and integrated Road and Rail Feeder Network, provides an excellent foundation from which to develop our Supply Chain Management solutions. Jubilee Shipping & Forwarding Co.
Versa is a cloud-based Supply chain management software that empowers small and mid-size businesses to unlock their potential and drive growth. Versa delivers transformational functionality to the processes that are critical to your business success.